Movable Shelving: What Type is Right for Your Storage Needs? Movable shelving is a great concept. Basically, shelves are stacked in front of each other on tracks so that they can move back and forth. And because the front rows move, you gain access to the back rows. 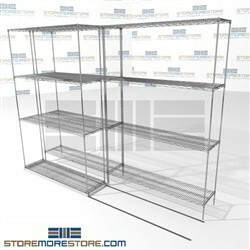 What the movable shelving accomplishes is the elimination of static aisles in between shelving, and in effect reduces the amount of floor space needed for storage. Because there are different types of movable shelving, it can be hard to know exactly which one will be right for your business. Fear not! We are here to help you determine which type of movable shelving will work best for your business’ storage needs (and budget needs). The most popular type of movable shelving is designed for letter and legal size files. This shelving is excellent for doctor’s offices, small businesses, accounting departments, human resources departments, or anywhere that has a file storage need but not a large amount of space. (There is also a version that is made for boxes). 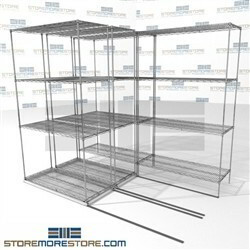 Also, any of these movable shelving systems can be used to store binders, office supplies, computer media, and much more. Their versatility is what makes them an extremely popular choice for a variety of office storage needs. 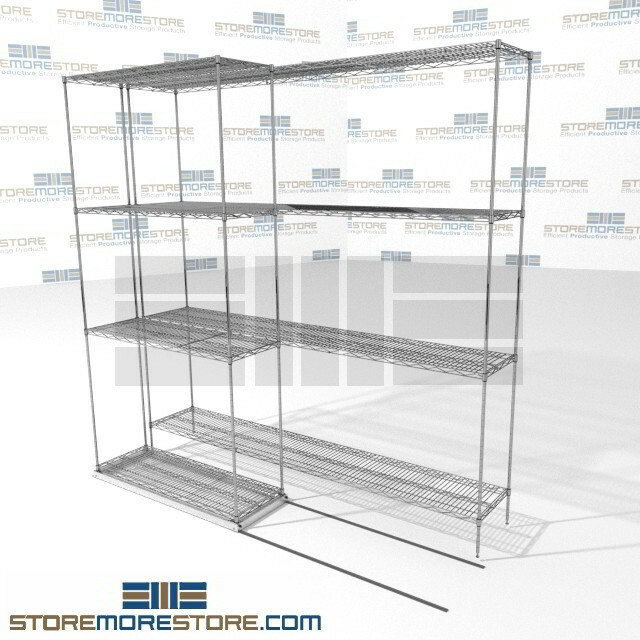 However, this type of movable shelving is not the cheapest. But it’s still a much more cost-effective solution than high density mobile shelving. Instead of a solid surface, the shelves on this system are made of wire. The wire reduces moisture and dust, making it an excellent option for medical facilities and businesses that need to store electronics. 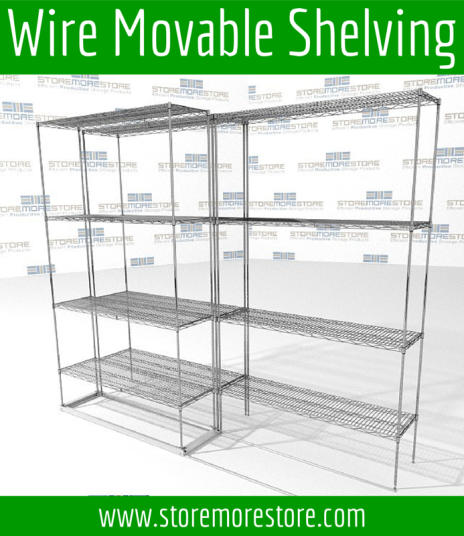 Wire shelving is also frequently used in food storage applications because it can stand to be in refrigerators and freezers. 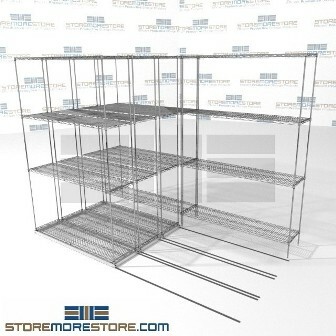 Because the wire movable shelving is very inexpensive, it’s also a fantastic solution for industrial applications. Bins for storing parts and tools can sit on the shelves along with large boxes. The only down side to the wire movable shelving is that it doesn’t work well for office applications like storing files or small items. The biggest benefit to this type of movable shelving is the tambour doors. The doors easily slide open and lock when closed to secure anything stored on the shelves. 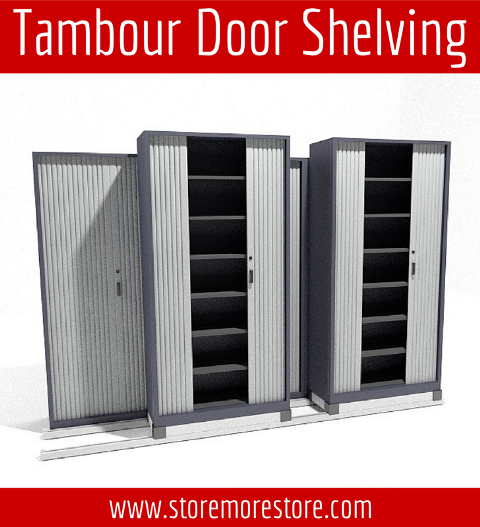 Tambour door movable shelving is the perfect choice if your organization needs secure storage. For example, this shelving is excellent for healthcare facilities that need to maintain HIPAA compliance. Also, the shelves are adjustable, making it possible to store a variety of items in the tambour door shelving. 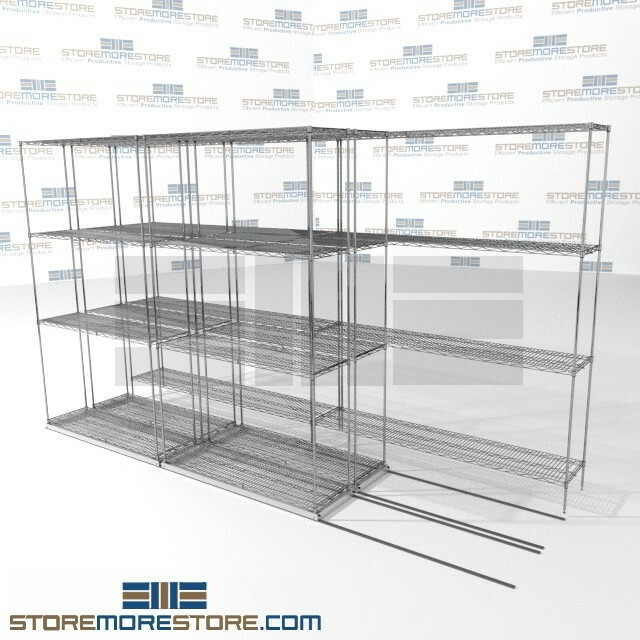 So any business that needs to restrict access to stored items would benefit from this type of movable shelving. Another thing that the doors do is hide stored items. This works well for businesses that need to store items while presenting a clean, uncluttered appearance. If you don’t need the extra security or appearance provided by the doors, than one of the other types of movable shelving will be a better option for your facility. 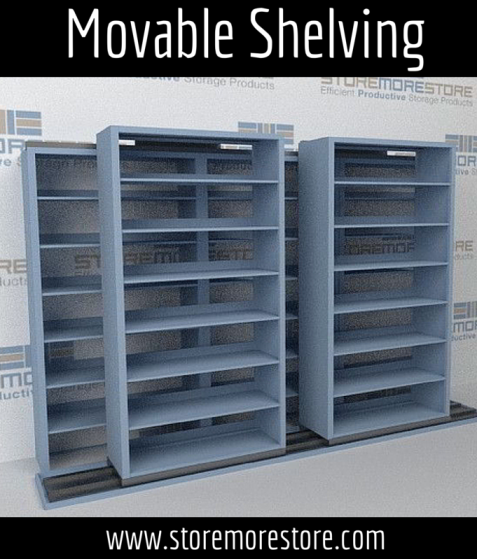 While the movable lateral file cabinets are not technically shelving, they still function on the same concept as the movable shelving, which is why we are including them. The other reason we are including them is because they are the easiest and cheapest way to bump up your storage capacity. Since you can just add a row of the movable lateral file cabinets in front of any stationary storage system you have – other lateral cabinets, vertical file cabinets, open shelving – you can maximize your existing space without a lot of effort. The drawback is that these are still lateral cabinets and come with all the same limitations. 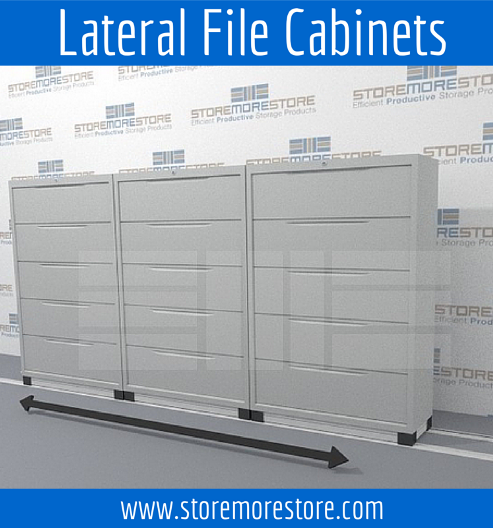 But if your office just needs more space for files and doesn’t want to or can’t afford to make any big changes, the movable lateral file cabinets are the perfect solution. We hope this answers some of your questions about which movable shelving is right for your business. But if you have any additional questions or need help, please feel free to give us a call at 1-855-786-7667.